Tactical Duty Pants are made of 65% polyester and 35% cotton. 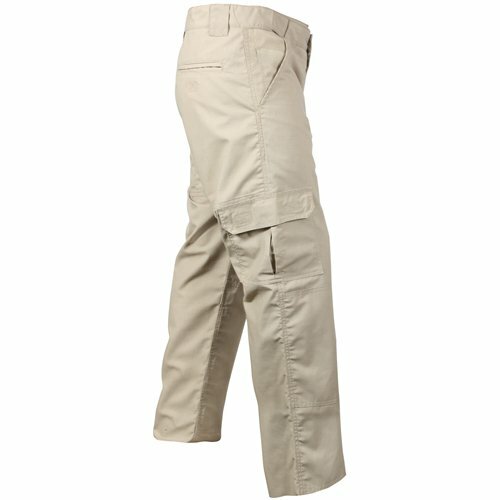 The tactical pants have new stain resistant finish. The pants are provided with range of pockets which makes it stylish and functional. There is a cell phone pocket on the left side with hook and loop closure. The two rear pockets and pleated side pockets are provided with hook and loop closure. The rear pockets have inset slit pockets. The belt loops are 1 ½ inch wide which is perfect for normal to large belts. The Pants is stitched with new and comfortable waist band which gives proper grip to your waist. It has both zipper fly closure and snap closure waist. The reinforced seat and knee is an additional feature. 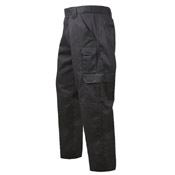 With so many features, the tactical pants are no doubt the best.